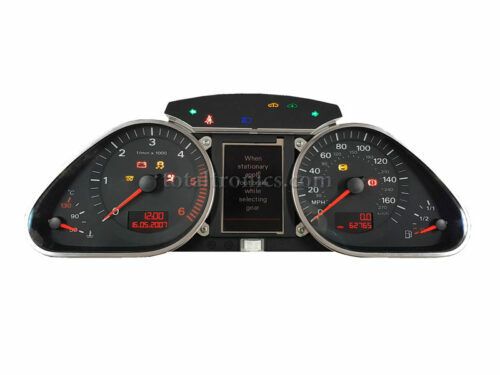 Professional repair of your AUDI A6 / S6 / Q7 instrument cluster LCD experiencing a back light issue. If you can’t see anything on the display this service will most likely solve this problem. This is NOT LCD display replacement. What do you need to do then? Just bring the car and leave it with us. We will take the cluster out and fit it back in after repair. Removing and refitting cost £30 and takes about half an hour. Do not buy second hand instrument cluster, it won’t work in your car unless you know how to code it.